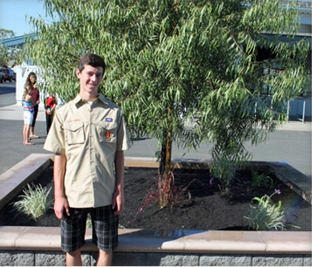 Agromin Blog: Eagle Scout Project Complete! McAuliffe Middle School in Los Alamitos has great looking planters thanks to the hard work of Eric Ball. Eric, with the help of volunteers, finished up his Eagle Scout project at the school by adding a weed barrier, soil and new plants to six new planters. The results are terrific! Agromin is happy to have helped.